When it comes to your health, there is no monetary amount that should be set. You may be able to pay less for height lengthening surgery in your own country or another, but you must consider the quality of the healthcare you will be getting. Indeed, there are some satisfactory surgical centers in other countries, but they are not up to the same standards that are set in America. Leg lengthening surgery has changed a lot over the last few years. Many countries outside of the U.S. have not kept up with these technological advances. The advances that have been made in limb heightening surgery are amazing. The new devices that have been perfected, and the procedure itself have decreased the incidents of infection and discomfort. These new advances that are used in America for limb lengthening surgeries provide the best possible outcomes for patients. The improved methods for the surgery decrease the time spent recovering and make the surgery less invasive. The medical professionals who perform leg heightening surgery must be able to show you that they have the qualifications to provide extraordinary patient care. Countries outside of the United States most likely will not be able to compare to the lengthy education, training and experience that you will find among physicians practicing in America. 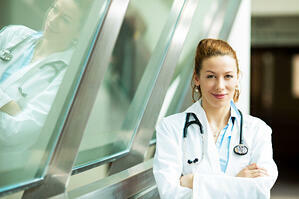 U.S. orthopedic surgeons are required to have a significant amount of formal education. They are medical doctors who have decided to specialize in treating the musculoskeletal system. This training consists of eight to nine years of post-baccalaureate education. 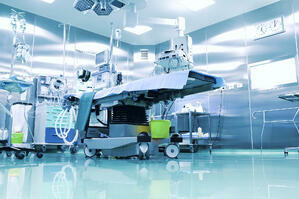 Orthopedic surgeons also must maintain board certification in Orthopedics. You can see from the list below that American orthopedic surgeons complete years of rigorous education and training. The above list may not be the only requirements. Hospitals and clinics are precise in making sure that physicians have met all of the requirements set forth by their credentialing process. Many countries do not set these high standards for their physicians. For instance, in India – medical school can be entered immediately following high school, with no undergraduate degree required. In Mexico, medical training also begins right after high school. Medical school in Mexico takes four to five years with two years of internship and social service practical training. The students are able to practice medicine right out of medical school. For specialists, such as orthopedic surgeons, an additional two to four years is required. In countries where individuals are able to begin medical school at a young age, they do not reach the same maturity level as U.S. physicians. The bottom line – orthopedic surgeons in the United States receive more specialized training and experience than physicians practicing medicine in most countries. 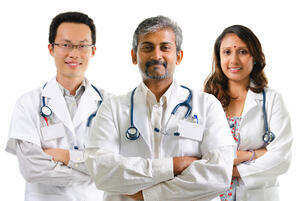 Foreign-trained doctors in America. Even though some of the requirements are less stringent in other countries, the U.S. encourages foreign-trained physicians to come to America. In order for them to practice in the United States, they must meet certain criteria and pass the U.S. Medical Licensing Examination. What this means is that even though they have gone through their medical training in another country – they must meet strict requirements before practicing in the United States. If you are considering height lengthening surgery – the best place to have it is in the United States. Besides having the best healthcare service and physicians in the world, you will get to see America. Not only will your life be changed by adding inches to your height, correcting leg deformities or discrepancies, you will also be able to experience traveling to the U.S. The first thing for you to do in order to discover if you are a candidate for height lengthening surgery is to contact your trusted orthopedic surgeon in the U.S. Regardless of where you live, you will be able to have a consultation and learn more about the procedure, other pertinent details and recommendations for the next steps that need to be taken. There will be a team of professionals that will help you arrange your surgery as well as assist you with travel arrangements. You will be able to enjoy one of the most beautiful cities in the world – the city of Los Angeles. With limb heightening surgery, you will regain your confidence and look forward to your future as you start living the most optimal life.